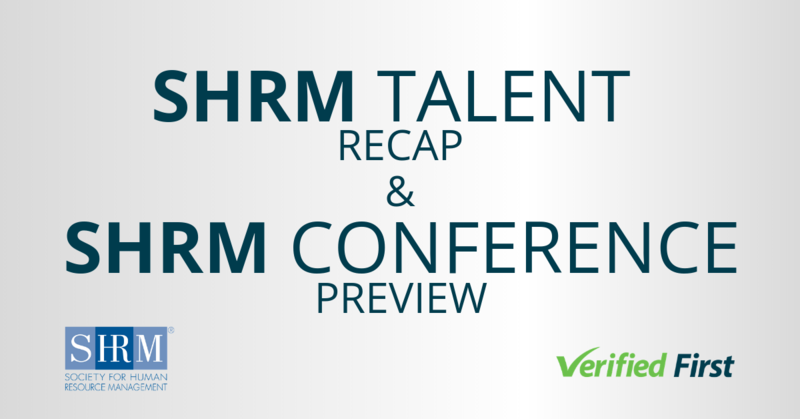 Meridian, ID — Verified First, a leading background and drug screening company, was chosen as a finalist for the 2018 HRO Today iTalent Competition. The iTalent awards recognize innovative HR technologies that are disrupting the industry. Finalists are selected by invitation only and the winners will be announced at the HRO Today Forum North America in National Harbor, Maryland on May 2, 2018. 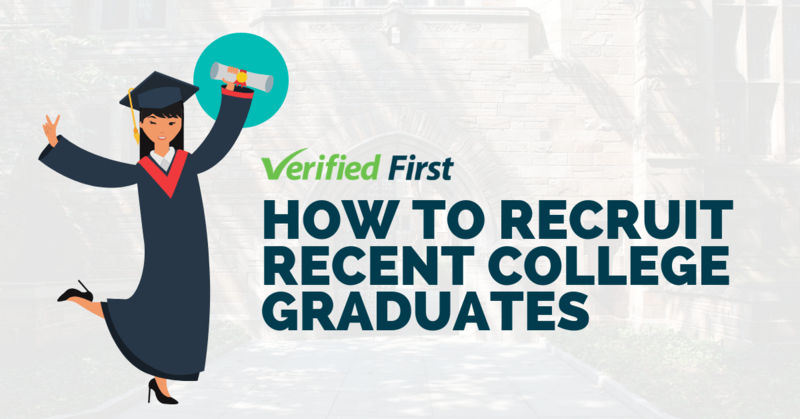 Verified First was selected because their forward-thinking solutions improve the hiring process. To create hiring efficiencies, background screening software integrates with Applicant Tracking Systems (ATS). The industry average is typically 4 - 6 weeks for full integration, but through a patent-pending process, Verified First accomplishes this in less than an hour. To date, Verified First integrates with 88 platforms — and this list is growing. To create a stronger candidate experience, Verified First’s software also provides branded emails and mobile solutions. Employers can improve the candidate response rate through sending branded emails that differentiate them. Additionally, employers may text candidates to obtain authorization for pre-employment screening. 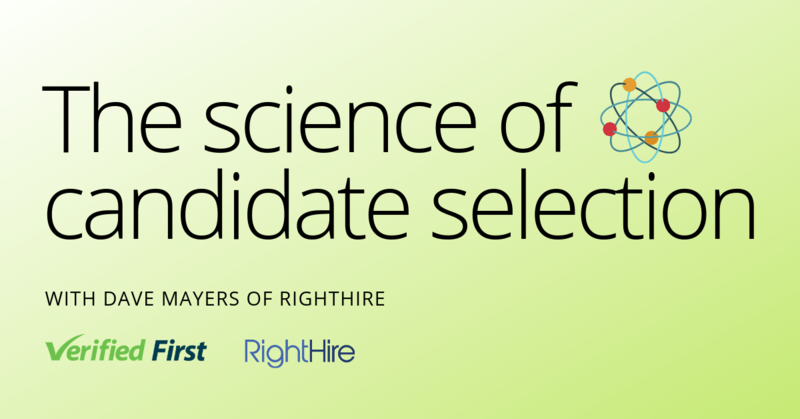 This feature will not only provide greater convenience for the candidate, but also significantly improve time to hire. 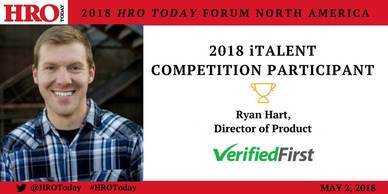 Ryan Hart, Director of Product at Verified First, will demonstrate these solutions to a panel of HR technology experts, industry analysts, HR practitioners, and technology investors. Craig Fisher, Head of Marketing of Employer Branding SME and Allegis Global Solutions, will host the event. This year’s judges include Johnny Campbell, CEO of SocialTalent; Elliot Clark, CEO of SharedXpertise & HRO Today; Gerry Crispin, Principal & Co-Founder of CareerXroads; and Bill Filip, Managing Director of Delancey Street Partners. Hart was enthusiastic about the opportunity to compete. “HRO Today is a valuable resource to HR professionals worldwide, so it’s an honor to participate in the iTalent Competition. There’s a lot of great technology in the HR market. 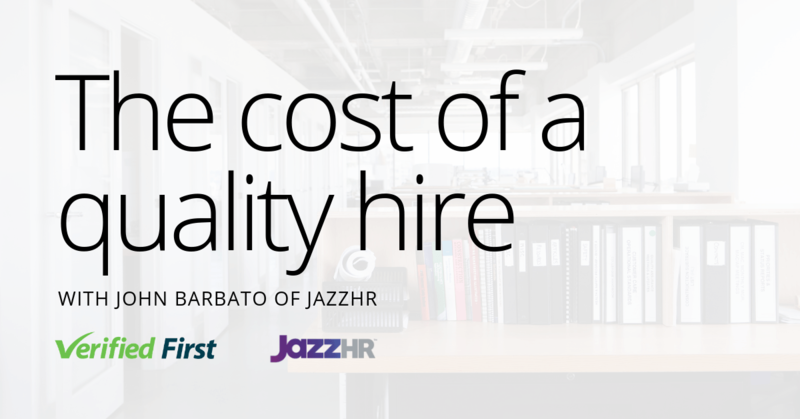 To be a finalist for this award, which caters to HR Executives, is thrilling,” said Hart. HR professionals who are eager to see these solutions may schedule a demonstration here.